Where Have All The Medical Dramas Gone? Remember the 1994-95 television season, when all the buzz was about ER vs. Chicago Hope? Or the years between 2005 and 2012, when Grey’s Anatomy, House and Private Practice enjoyed Nielsen success? 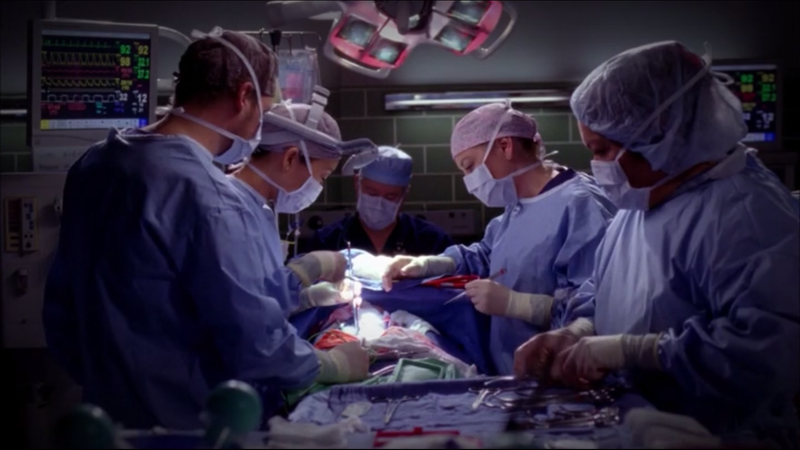 In a broadcast landscape usually littered with shows about cops and doctors, would it surprise you to know that there is currently only one medical drama on the air — the nine-year old Grey’s? And that there don’t appear to be any obvious heir apparents in the pilots currently under network consideration? This season the CW’s Emily Owens MD couldn’t be saved by Mamie Gummer; NBC’s Do No Harm broke ratings records in all the wrong ways; The Mob Doctor lasted 13 episodes only because Fox had nothing to replace it with; and the aforementioned Private Practice closed out its six year run never quite living up to the potential of its talented cast. That leaves Grey’s Anatomy as the last doctor show standing. Note: Yes, Dana Delaney’s medical examiner character on Body of Proof is a doctor, but it’s a crime show, not a medical one. Not to mention it’s not any good. And sure, Zoe Hart on the CW’s Hart of Dixie technically treats illnesses, but I’d hardly call that show a medical drama — while I do admit to having a soft spot for Rachel Bilson’s charms, I don’t think anyone, even her patients, really buys her as a doctor. You’d think the programmers at CBS, who’ve never met a procedural they don’t like, would find a way to introduce a hospital show into their stable. And though they have tried — A Gifted Man, Three Rivers and Miami Medical being just a few examples in the last few years — they had nary a medical show on the air this season, and their only pilot featuring a doctor, Surgeon General, seems a longshot for a pick-up. ABC, which at one point had three medical shows on the air from Shonda Rhimes alone, has only one drama pilot featuring a doctor, Big Thunder, but I’d imagine the medical issues are secondary to the 19th century frontier town setting. That’s still better than Fox and the CW, which have exactly zero medical pilots under consideration between the two of them. It’s NBC, home of classic medical dramas St. Elsewhere and ER, which is the best bet to represent the medical profession next season with its pilot After Hours, following the exploits of a group of Army doctors who return to work the night shift together at a hospital in San Antonio. If After Hours doesn’t make it onto the schedule, then, it looks like Derek, Meredith and the folks at Seattle Grace will be representing their professional alone. This entry was posted in Television and tagged CBS, Chicago Hope, ER, Grey, Greys Anatomy, Mamie Gummer, NBC, Private Practice, Rachel Bilson. Bookmark the permalink.